First of all, this list was created on listly.com – please click the Follow button there to keep up with changes. These before images are 100% free stock images shared across the internet. I made subtle changes in Photoshop to enhance them – cropping, tweaking contrast and adding colour filters – nothing too complicated. Sometimes a few magic tricks that must remain secret… except where I reveal all in the description. I haven’t listed the source of individual images, simply because I don’t keep track of where I find them. You can check this list of sites offering 100% free stock images. My favourite sources are unsplash and pixabay – I like the fact that on sites like these I don’t have to keep track of individual credits or restrictions. If you click through each item below you’ll see the retouched image with added text. Most of the time you’ll be able to spot the difference, but sometimes all the image needed was a tweak and you’ll wonder why did I bother? It takes more than one eye to make a good picture. For a better view of the images use the dropdown box above the list to switch from List view to Magazine. You can click on the arrow symbol at the bottom of the list to take you to the next page of images. Click on the arrow symbol at the bottom-right of the list to take you to the next page of images. 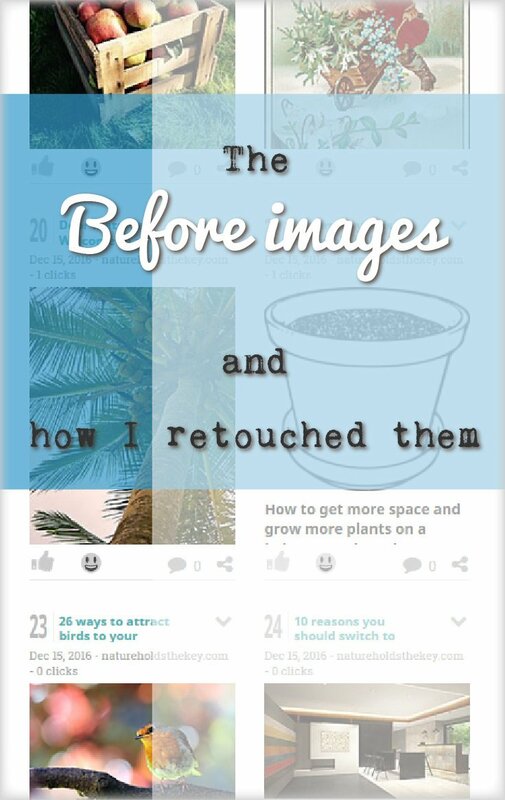 You can see there are lots of ways to transform free images. And sometimes all it takes is no more than a tweak.